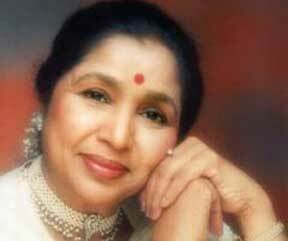 PTI: Legendary Bollywood playback singer Asha Bhosle has entered the Guinness World Records for the most number of single studio recordings. Asha has recorded up to 11,000 solo, duets and chorus backed songs like 'Mehbooba Mehbooba, 'Chura Liya Hai Tumne', 'Piya Tu Ab Toh Aaja' and several others in over 20 Indian languages since 1947. The 78-year-old was conferred with the Guinness honour at the Asian awards function held in London on Thursday. "Aaj mujhe lag raha hai ki mein world ki recognised singer hoon. Mein apne chahanewalo ka dhanyawad karti hoon. Aur asha karti hoon yahi pyaar bana rahe. Jis tarah se apne mere gaano ko saraha hai ussi tarah meri acting ko bhi karenge" (Now I feel I am a recognised singer in the world. I thank my fans and hope they will continue to love me. I wish they will appreciate my acting skills as much as they enjoyed my songs)," Asha told reporters. She thanked music researcher Vishwas Nerurkar for helping her get the coveted title. The veteran is also set to make her acting debut with 'Maaee'. Directed by Mahesh Kodiyal, the film features Padmini Kolhapure as Asha's daughter. It is the story of a woman who goes on to live with her daughter and son-in-law after being abandoned by her only son. The film will release soon.